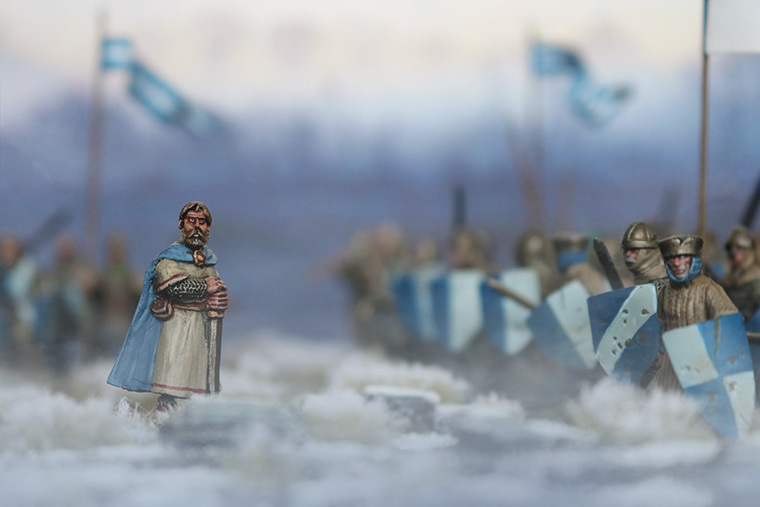 I must say, these are some of the best Medieval miniatures I've seen! The conversions are amazing and the brush work is stunning! Breazer, you paint minis well and take nice photos. Codsticker's Pulp Alley Tables:jungle, urban, airstrip. I have been working a bit on other things but I got inspired to take some cool pictures. I should probably find some cool new mini's soon to get some new shots with. Not too confident with it but I'll post it for Din since he likes them so much. This is one of the greatest compliments i have received! Thank you so much! But the pics are so objectively superb, that I think I'm not the only one who admires them! With such a beautiful collection you have already in your hands (and which I believe you'll make it grow ), with such skills in photography and your fantasy, I strongly believe that you are able to create innumerable photographic masterpieces!!! Haha, thank you Din. I have another picture ready that i'm waiting a bit with to post but I think you will like it. What is this new picture you were mentioning? It is something I have been working on and am quite proud of. I've been trying to recreate the same quality since I took that picture and haven't really been able to hit the same notes so to speak. I'm sure it will be great! You've made some amazing shots so far. Thank you Ultra Magnus. There are a few others that I am really proud of and i have been thinking of doing some type of recap. I'm just not sure about the occasion really. That does sound like an interesting plan! how are things coming along in terms of just miniatures for your armies? Well, I have been working a bit on my red guys, they need one more yeomen finished before the whole unit is painted. I build a whole bunch of miniatures for the blue side that I have been painting at random. I have also made some red knights that I think will make for nice leaders in pictures. The red side has been a bit poor on leaders. I should take some decent pictures but I'm moving soon so it has been a bit on hold.